The Borderline Personality Disorder (BPD) is one of the most severe and challenging problems to treat in mental health. BPD is a complicated problem that is found almost exclusively in females and can be detected as early as middle to late adolescence. This has lead many researchers and clinicians to research and hypothesize that the disorder has a genetic and endocrine related cause mechanism that is subtle and difficult, if not impossible, to understand. A great deal of research has found that mothers with BPD have a higher incidence of children who exhibit such behavior. Whether this is genetic or transmitted by parenting behavior (or both) is not clearly understood. According to the Diagnostic and Statistical Manual of Mental Disorder, BPD should not be diagnosed until a teenager has reached 18 years of age. This convention was established by the American Psychiatric Association, but is by no means a widely accepted rule in the world or among psychotherapists in the United States. While a student may demonstrate all of the symptoms associated with BPD, the acceptable Diagnosis in the U.S. is to refer to adolescents as having Borderline Personality Traits (BPT). Whether you refer to a child as having BPD or BPT, the issues that must be addressed are essentially the same. The issue of diagnosis not a matter of science, but rather a consensus of opinion. The prognosis is better when BPT is detected in adolescence than when the person has reached maturity and adulthood. Borderline Personality Traits (BPT) and the associated behavior is a serious problem to address in a wilderness therapy program. In many cases, the "diagnosis" has not been made prior to admission, but the symptoms associated with BPT will become evident and more pronounced after admission. Failure to recognize and respond appropriately can exhaust field staff, diminish the benefits that other students might otherwise gain and can contribute to alarming and life threatening behavior. In the early stages, the symptoms of BPT appear more like Depression, Anxiety, a Conduct Disorder (CD) or Oppositional and Defiant Disorder (ODD). Efforts to address CD and ODD while not recognizing BPT can lead to a pattern of Decompensation and Failure to thrive for students admitted to a wilderness program. Failure to recognize BPT in a wilderness program can lead to chronic problems and can have a destructive impact on a childs life. Many students with the initial behavioral symptoms of this disorder will go undetected primarily because they hide these behaviors from parents and family members. They are generally not evident until the child is under stress and they are observed continuously in a structured setting such as a therapeutic boarding school, psychiatric hospital, residential treatment or wilderness program. 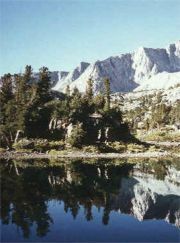 In a wilderness program, a student may not demonstrate all of their symptoms until the third or fourth week. In severe cases they will decompensate with a week. Students with Borderline Personality Traits are very vulnerable and usually over-react to stress. They characteristically form unstable and intense "love-hate" relationships. They are prone to view their caretakers as either "all-good", or if any problems occur, "all-bad". They may initially view their caregiver as a "rescuer", then suddenly switch and view their them as the "villain". It is crucial that caregivers avoid falling into the trap of being idealized and overvalued by the student, and then being pitted against other caregivers who the student hates. Students will criticize staff, family and friends is ways that seem to require individuals to take sides. The psychological and emotional needs of children with BPT are rarely satisfied, except briefly, and their anger over this eventually alienates their friends and peers. The response toward caregivers who do not know how to respond is usually one of frustration and anger. At the same time, students with BPT will make frantic efforts to avoid real or imagined abandonment. The resulting message to a caregiver is "I hate you! Dont leave me!" This mixed message creates further distress in their life and the life of others. Repeated failed interactions where the student is unable to find comfort can result in destructive behavior toward their self or others. Rapid mood swings (anger, sad, fearful to happy). Failure by others to meet their needs are interpreted and reported to others as personal, intentional, neglectful or abusive. Interpreting their experience as either "good" or "bad" instead of accepting that which is actually "grey", "mixed" or "good enough". Building and maintaining relationships with other students and staff by attempting to creat a common enemy or sharing their criticism of program activities. Progress or improved emotional well being will trigger thoughts about how bad they have felt in the past and that their positive emotional state will not last. Reports to staff create the impression that the student is misunderstood, a victim, unloved, ignored or has been abused. Caregivers and peers will be drawn into and expected rescue, take sides or take actions to protect the student from "bad" people in their life. Idealization of select staff and students in order to form and benefit from that relationship. Recurrent inability to tolerate their emotional state followed by escape and avoidance behaviors such as medication seeking, inflicting pain through scratching or picking, self-mutilation, acting immature, becoming quasi-psychotic, or "acting out of control" to create a physical altercation and "emotional release". Decompensation in response to program structure, expectations and their inability to escape and avoid the "here and now" responsibility and emotional experience. The program should focus on solving the student's "here-and-now" problems, despite the student's tendency to avoid reality-oriented problem-solving. Group counseling or therapy should be supportive and not exploratory. Caregivers, staff, counselors and therapists will also require support including readily available consultation with a mental health professional. A cooperative hospital or residential facility should be consulted with and made available to serve as a back-up should severe regression, dangerous or psychotic behavior surface. Students with BPT must learn how to limit their behavior and they must learn how to respect the limits of what others can provide. It is essential that their caregivers set boundaries and not rescue students, as well as tolerate the student's angry outbursts with patience, compassion and confidence. This will demonstrate to the student that the caregiver will not rescue or abandon the student (as the student angrily expects and fears). Children with BPT must slowly learn to overcome their overuse of fantasy and problem-avoidance. A high degree of repeated confrontation can lead to decompensation. In many cases, a student's acting out can become so dangerous that treatment in a wilderness therapy program can become impossible. Program staff and caregivers must be able to tolerate repeated episodes of a student's rage, distrust, and fear. Students with severe or advanced BPT can demand more attention than all of the students in a camp combined. The therapeutic community within a wilderness therapy program is a 24 hour living and learning experience, where daily interactions in the community are examined and unhealthy behavior is challenged. A wilderness program has many components where individual therapy, groups, active student participation in the maintenance of the community and constant monitoring of group processes can be used to confront and redirect the behavior associated with Borderline Personality Traits. Children with BPT who exhibit regressive behavior, suicide attempts or brief psychotic episodes are frequently hospitalized. Most emergency departments that are medical and not psychiatric are unable to recognize or respond with appropriate understanding of the needs of student with BPT. A conflict between the Emergency Department and the wilderness program is likely. Students with BPT are prone to sincerely fabricate and report abuse and neglect by caregivers, parents and program staff. The emergency room staff must be careful not to let borderline students pit the hospital staff against the students parents, counselors, therapists and staff in their treatment program. Brief admissions have been found to be more effective than long term admission. Crises requiring hospitalization are often short lived. Students who associate with severely disturbed behavior in psychiatric hospitals will often identify with those patients in order to feel less alone and to find a "cure". They soon begin to express similar symptoms. The use of medications, especially an initial trial of a medication in a wilderness program is very problematic. Starting a student on a medication, while in a wilderness settings requires that staff be trained to recognize associated side-effects and to respond appropriately. The students mental and medical status must be monitored. During brief reactive psychoses, low doses of antipsychotic drugs (e.g., zeprexia or resperidone) may be useful, but they are usually not essential for overall program treatment since such episodes are often self-limiting and of short duration. Monoamine oxidase inhibitors (MAOIs) have been used for students with Borderline Personality Traits who are overly sensitive to rejection. However these drugs have potentially life threatening side effects if a student eats certain foods or taken with certain medications. Other antidepressants have also been found to be effective in reducing this intense anxiety and depression. Brief use of antianxiety medication may be required to relieve the episodic and intense anxiety of borderline students. Long-term use of anxiolytic medication should be considered with caution because of their propensity to reinforce medication seeking behavior and further escape and avoidance behavior. Medications are generally considered for symptoms relief and not a "cure". Prospective students for admission with Borderline Personality Traits should be carefully screened by a qualified mental health professional who is familiar with the stress and therapeutic structure of the particular wilderness program. It is essential that the program provide a therapeutic community and maintains the level of individual supervision appropriate to the students needs. Students with BPT considered most likely to benefit from wilderness therapy must demonstrate considerable motivation to address their problems and be willing and able to co-operate in the group life of the community. Students admitted to a program should be free of medication. This will restrict admission to those without acute problems or co-morbid chronic mental illness. Potential students with BPT who also have a history of regression, self-mutilation, suicidal behavior or fantasy bordering on psychosis should not be admitted to a wilderness therapy program. The above requirements will severely limit the number of students with BPT for whom the wilderness option may be considered. In the event that a student with BPT is admitted, or a diagnosis is made after admission, staff interactions should focus on the student's "here-and-now" problems despite the student's psychological "escape" behavior and their tendency to avoid reality-oriented problem-solving. Staff should avoid in-depth, exploratory or insight oriented interactions for students with BPT. Programs must be prepared to recognize that many students with Borderline Personality Traits may decompensate periodically or they may not thrive at all in a wilderness program. Discharge without completion of the program will be necessary for some students. Parents should be informed in advance that this may occur when this diagnosis is known at admission.. Program goals for students with BPT should be in terms of supporting gains toward more independent functioning, and not changing their personality. Graduation and placement in follow-up outpatient treatment, a residential treatment program or a therapeutic boarding school will be essential to maintain the gains provided by a wilderness therapy program.